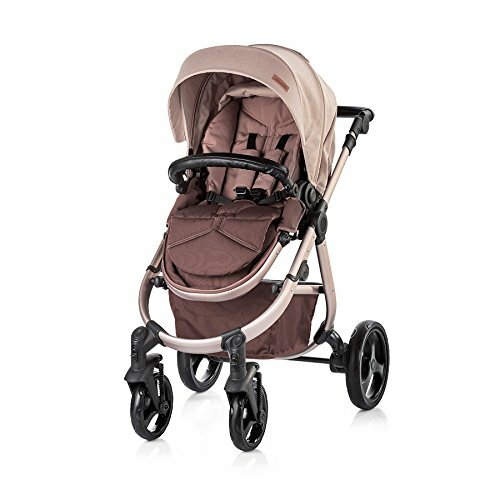 This chipolino baby stroller is suitable for babies aged 0+ months and weighing up to 15kg. the seat can be easily transformed into a carry cot and car seat with its super lightweight aluminium frame. a comfortable upholstered seat with a soft pad and an adjustable big canopy with viewing panel. by two clicks, the seat can be installed on the frame in a face to face and forward position. 5-point adjustable harness with soft shoulder pads, a removable front bumper thats covered with pu leather for easy cleaning and quick release front wheels. car seat is certified according to ece r44/04  group 0+. chipolino ltd. is a bulgarian company specialising in their own product range filled with brand new concepts and reinvented traditional items, including baby strollers, child car seats, high chairs, play pens and cribs, wooden beds, multifunctional toys, kids clothes  everything that babies and small children need. they pride themselves on offering safe, comfortable and functional products distinguished by their unique design that make their use a pleasant experience for the families raising kids.